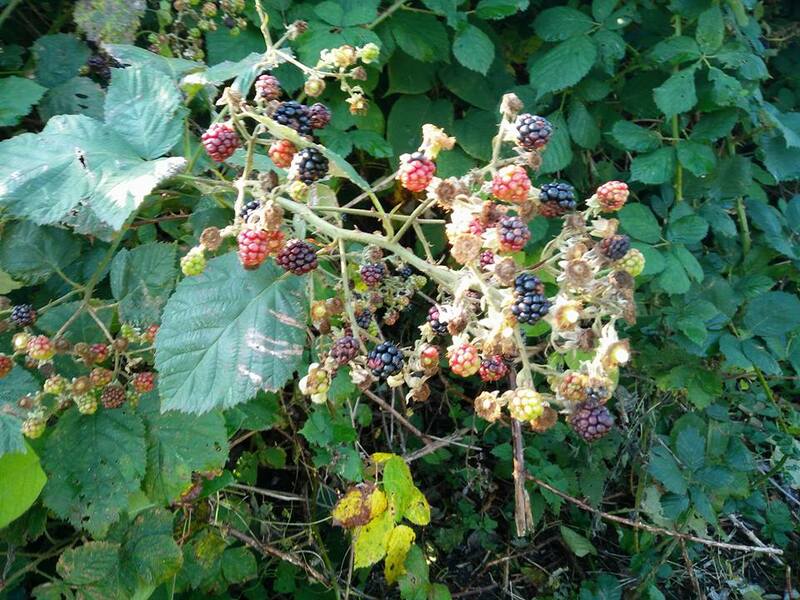 A few weeks ago, I decided to go out and pick some wild blackberries in Copenhagen. I thought it could be fun, and was hoping to have enough to make a recipe I found on the New York Times website by Julia Child. 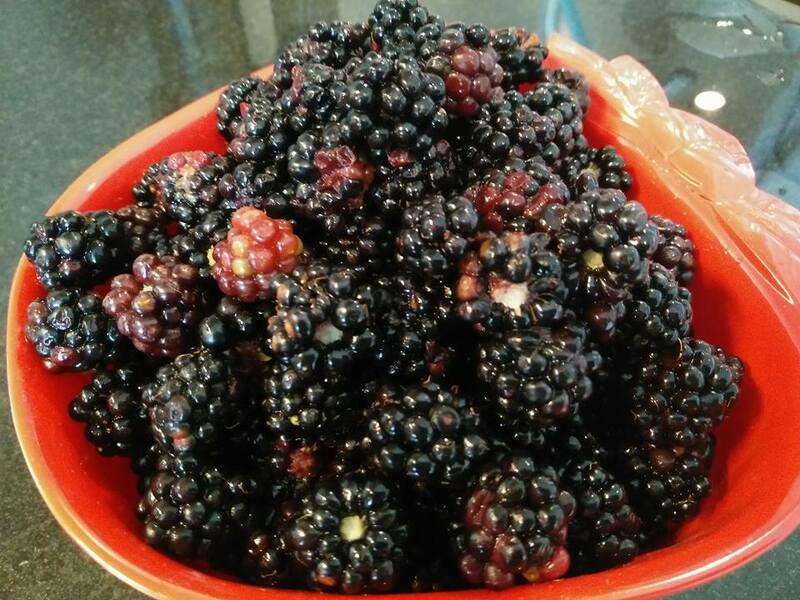 In just a short time my husband and I managed to pick 4 cups worth of blackberries (more than enough for the recipe I wanted to make). This dessert is really easy to make, it is almost like a light thick pancake with fresh fruit baked in, and dusted with powdered sugar. 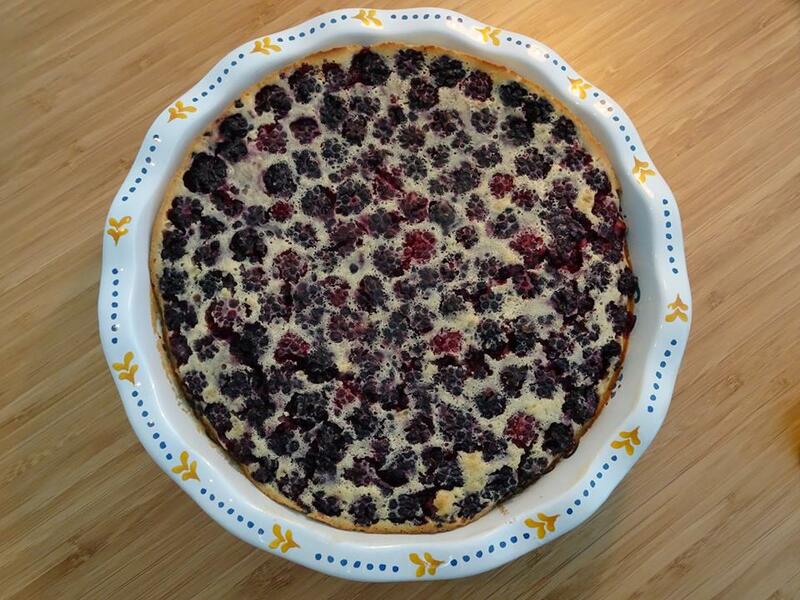 I never had this dessert before, but it took the otherwise sour blackberries, and made them very sweet and delicious. I found it to taste just as good cold, as warm. Hope you enjoy it. 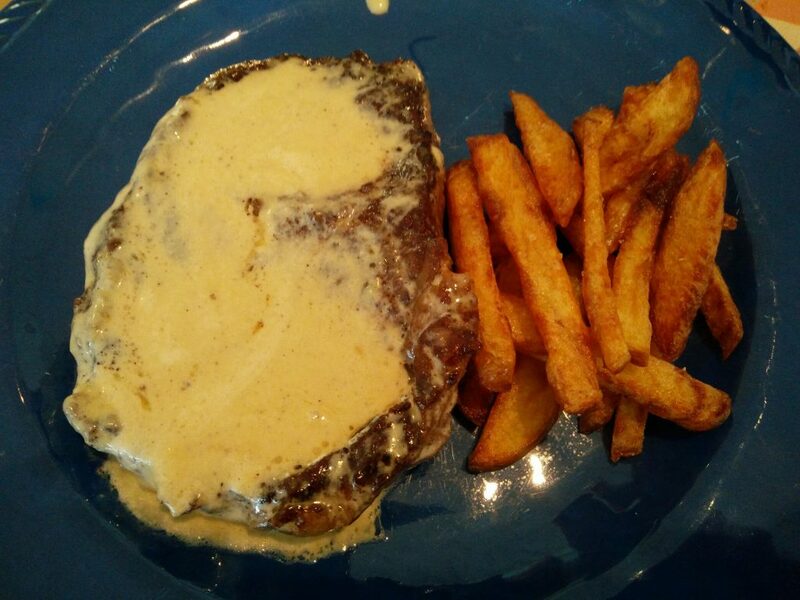 Recipe is below. Mix the milk, 1/3 cup granulated sugar, eggs, vanilla, salt and flour until smooth and frothy, about 1 minute. Pour a 1/4-inch layer of batter in the baking dish. Turn on a stove burner to low/medium and set dish on top for two to five minutes, until a film of batter has set in the bottom of the dish. Remove from heat. 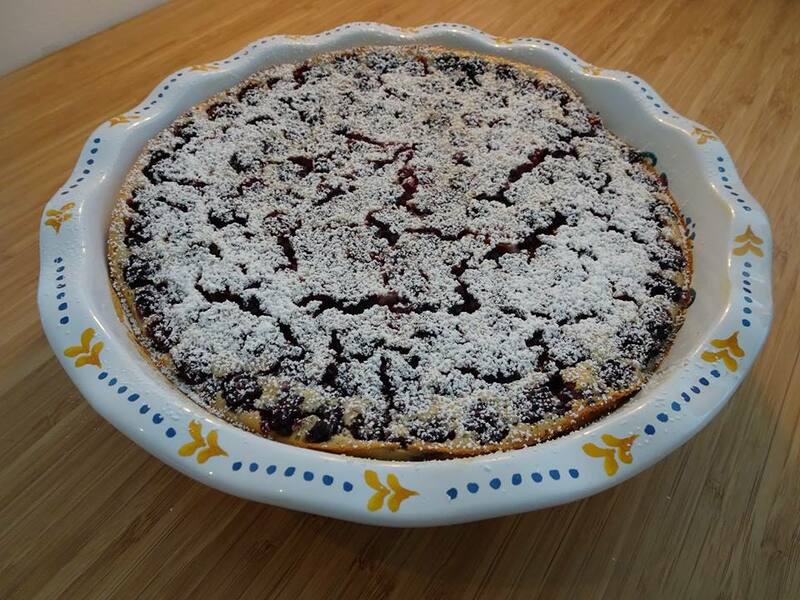 Spread berries over the batter and sprinkle on the remaining 1/3 cup granulated sugar. Pour on the rest of the batter and smooth with the back of a spoon. Place in the center of the oven and bake about 50 minutes, until top is puffed and browned and a tester plunged into its center comes out clean. So sausage & egg tacos are no different. You can start by making tortillas, or cooking the sausage, whichever you prefer. You can even warm up the tortillas as the last step. I wrote a recipe (below) on how I make these tacos and made a video to go along with it. 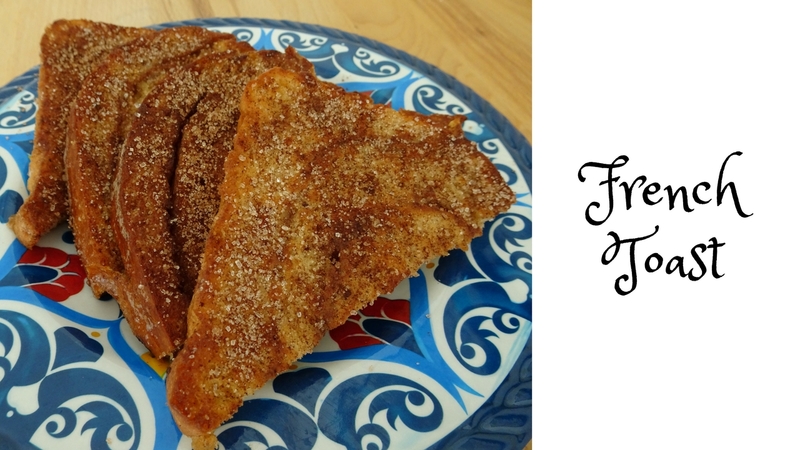 I hope you like this recipe, and I do encourage you to either buy freshly made tortillas and salsa, or make homemade tortillas and salsa, it makes a huge difference in flavor. The recipe makes 3 tacos, but just remember you need 1 egg per taco, and 1 sausage link per 3 tacos, so if you want to make more tacos then just make more eggs and sausages according to how many tacos you want to make. 🙂 I hope that makes sense! Cut sausage into medium/small chunks. 2. Cook sausage in a preheated pan set at a medium heat setting, you can add a bit of oil to help it toast. 3. Remove cooked sausage from pan and place in a bowl/plate lined with a paper towel to drain the fat. Place tortilla in a preheated pan set at a medium/high heat setting. 2. Flip over when it bubbles a bit, and cook the other side. 3. Set cooked tortillas in a tortilla warmer or covered with a kitchen towel to keep warm. Crack eggs in a bowl, add salt and pepper, and whisk/stir together. 2. In a preheated pan set at a medium heat setting, add a knob of butter. 3. Once the butter has melted, add in the eggs to cook. 4. When the eggs start to firm around the edges, stir together to scramble. 5. Add in the cooked sausage when the eggs are almost cooked but still a bit wet. 6. Remove from heat while stirring the sausage in the eggs to prevent the eggs from over cooking and drying out. 7. 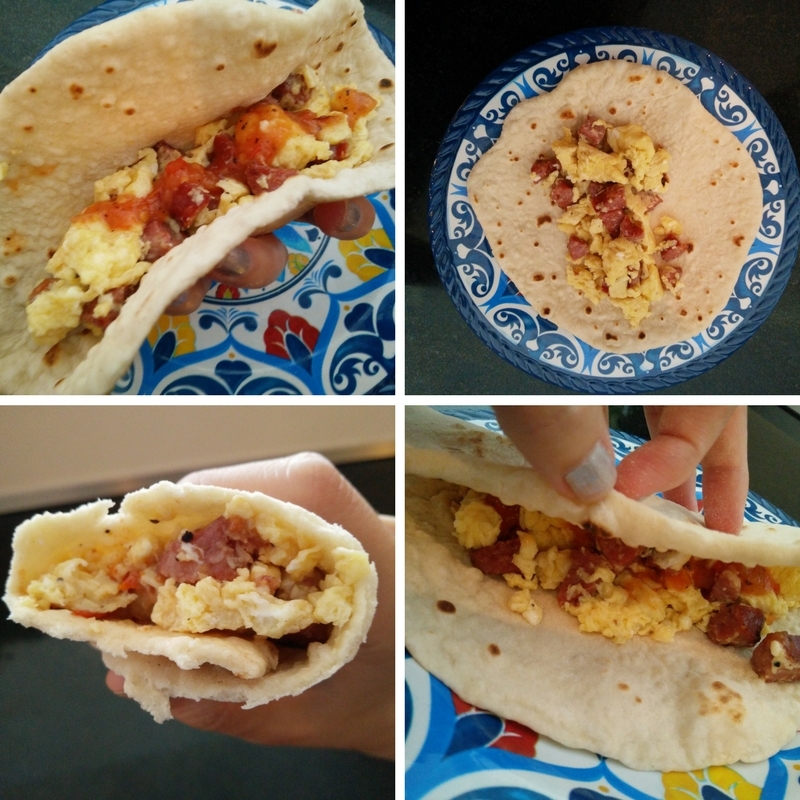 Then, set a tortilla on a plate, and place some sausage/eggs in the center. 9. Fold the taco and wrap in foil to keep warm, or just eat as is. 10. Continue these steps until all the tacos have been made.